The exponential rate of technological change over the last decade has many experienced accountants and other professionals on the run as they try to keep pace. Keeping up to date professionally has always been challenging enough, but all signs indicate that traditional practices such as accountancy are at risk of digital disruption, and it will be the firms that can embrace technology that are more likely to flourish in 2016 and beyond. One way of leveraging the cloud to help attract clients and streamline phone operations in a cost-effective way is with a virtual 1300 number, which can be slipped over any existing phone line to handle incoming calls. A 1300 number is more than just a contact point; with a number of included cloud-based call management features, it can provide a complete phone solution for any accountancy practice. The major benefit of a 1300 number is that it provides a national presence and allows potential clients across Australia to get in touch for the cost of a local call. The cloud-based call management features are like having a virtual receptionist, and can be a particular boon at busy tax time when many accountants have more need to be out of the office seeing clients. Calls can be answered with a professionally recorded customised greeting, and can be directed wherever the caller desires. With call forwarding, there’s no need to be in the office – calls can be picked up from anywhere. Call routing allows calls to be routed based on various protocols such as region or the time of day, streamlining the process of handling calls for a national firm. Voicemails can be retrieved via email from any location. These features allow for a higher level of customer service, and help ensure that important calls don’t go unanswered or get lost in the system. 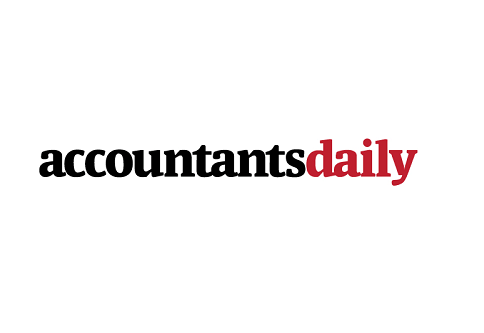 New technology is changing the way accountants operate in a number of ways. Using the cloud to handle your firm's telecommunications is easy and affordable with a monthly subscription from Zintel.